One of the first things people do when they get an old camper van is lower it. This process can be done many different ways and can provide many different results. 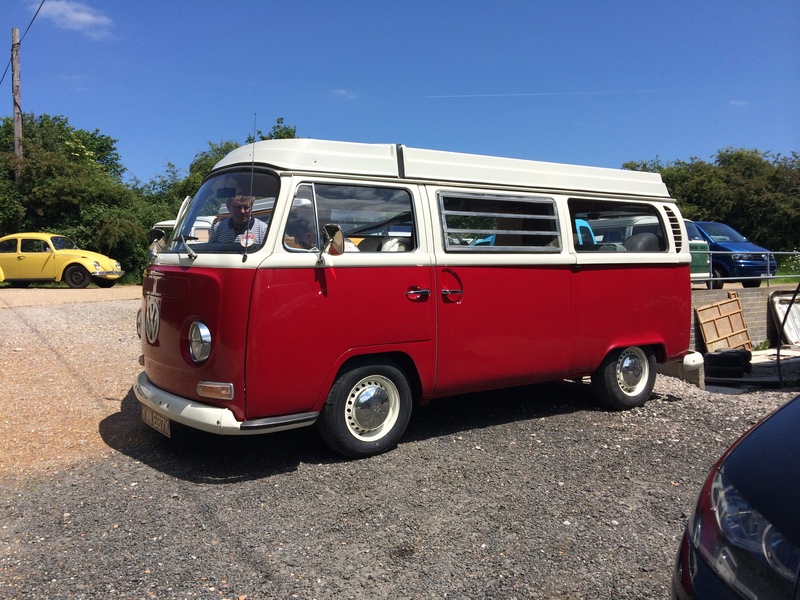 There are a number of reasons why the classic campers are lowered ranging from improving the handling response, getting the van to fit in the garage to making it look awesome! This offers a drop of between 3 inches and 4 inches. Unlike other workshops that will just cut and weld your front axle in to a lowered position, we weld a pair of adjusters to the beam to give you full flexibility in the future should you wish to go back up or go lower. You will also get new uprated front shock absorbers and the rear will be adjusted by turning the rear splines. This process will mean your van will fit most garage configurations, will have more responsive steering, look cooler and feel a little more hard over bumps, but not much harder, we feel about 80% of the ride comfort is retained. If we find repair work (i.e. rust repair) is required to the axle or the chassis we will notify you and discuss costs and options to correct. If you're looking to go lower we have a number of custom options available to suit what you need.